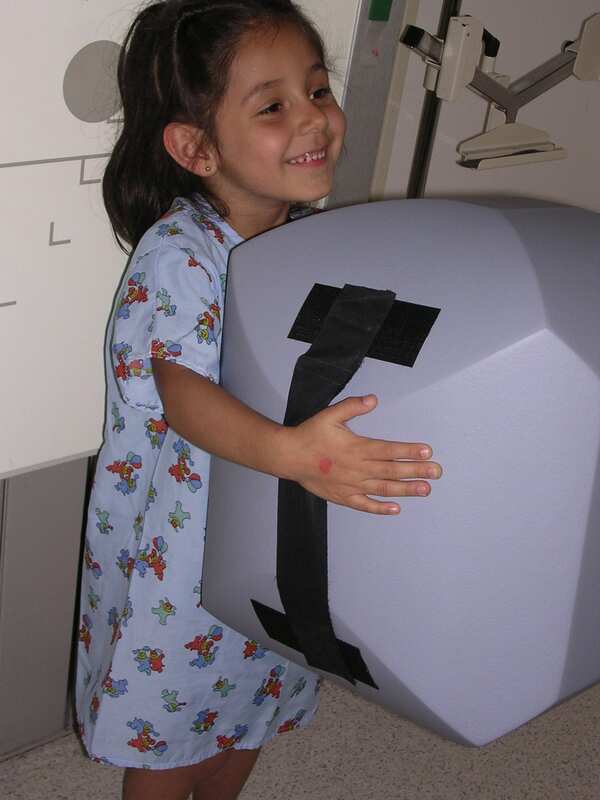 The Browning Ball is a patented pediatric medical positioning device. Proving to be effective in the field, it was featured in the journal of the American Society of Radiologic Technologists (Vol. 79, No. 2, November/December 2007). By hugging the Browning Ball, the young patient’s shoulder blades—also known as scapulae—are removed in the image of the lung field. Arm straps are available if needed. Additionally, this device is durable and puncture-resistant because of its medical-grade vinyl coating. It is easy to clean and disinfect as well. Anyone who is an X-ray technologist, or a medical professional in the radiographic field can use the Browning Ball. I developed this product so young patients, especially those who are too small or too large for devices, can have a better experience. The Browning Ball is manufactured by Creative Foam Medical Systems and distributed by Supertech. Visit the distributor’s page to purchase this device. If you have any inquiries, don’t hesitate to get in touch with me. Isn't the PA (Posterior - Anterior) chest the standard? Does this increase heart size? Yes, so minimal it doesn't make a difference. We're looking at the lung, not heart size. Yes, its shape keeps it from rolling around.